Scroll down the page to see detailed information on each return centre. Do you have a business in Burnaby or Surrey areas that would like to be a bag Return depot? Please contact us. 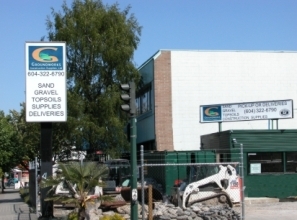 Return your empty MyGardenBags at Groundworks Construction Supply in Vancouver BC. (Right across from RONA in Kaslo St.) drop in, leave your empty MyGardenBag and browse this fantastic store. Return your empty MyGardenBags at Phoenix Perennials in Richmond BC. 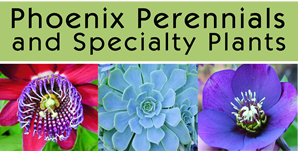 Did you know that they have one of Canada's largest selection of perennials? Over 4000 varieties from the rare and unusual to the standbys along with a huge selection of shrubs, trees, vines etc... Amazing garden centre with brilliant knowlegable staff, drop in, leave your empty MyGardenBag and browse this fantastic centre. Western Independent Greenhouse (WIG), home of Westminster Gardens brand. For over 20 years in business with the best quality hanging baskets, basket stuffers, bedding and specialty plants. The quality of the plants at this greenhouse is outstanding! Bring your empty bag here if you're in Burnaby area and pick up some awesome succulents. Access from Marine drive (not Marine way) or Byrne road and then Willard Street. Why go to a boring box store when you can visit the WIG! Dykhof Nurseries, ‪460 Mountain Highway, North Vancouver‬. Return your empty MyGardenBags at Dykhof Nurseries in North Vancouver. Established in 1957 and still a family owned and operated business, these people know their stuff! Top quality plants, tools even an awesome florist section! Need help or advice? drop in and say hello! Hewer Home Hardware, 4459 West 10th ave, Vancouver. Return your empty MyGardenBags at Home Hardware on W10th ave. 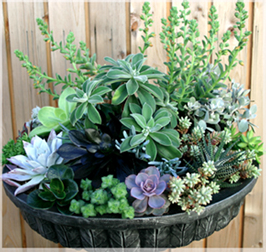 Need plants for all that new soil? Come check out their amazing garden section (its huge! ), everything you need to get growing! Free parking in the alley. Kerrisdale Lumber, 6191 West Blvd Vancouver. Return your empty MyGardenBags at Kerrisdale Lumber! Whether you’re thinking about renovating, remodeling or redecorating, Kerrisdale Lumber can help. Since 1921 and still serving Vancouver with all your hardware needs.